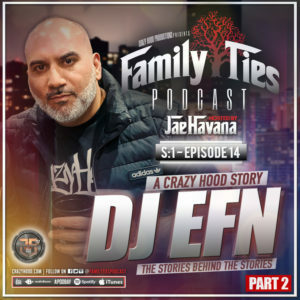 DJ EFN's Story: From the early Crazy Hood days to Drink Champs. From the pirate radio waves, to the Coming Home Films. 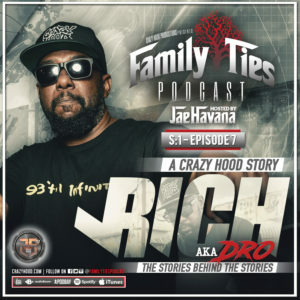 Crazy Hood founder and C.E.O - DJ EFN is widely acknowledged as “Miami’s Mixtape King” - DJ EFN is also a marketing and branding consultant, film maker and co-creator and co-host of the Drink Champs podcast. Listen close as he shares his story. He’s the CEO of Militainment Business, Host of his food show ON THE RUN EATIN’ & co-host of the Drink Champs Podcast. 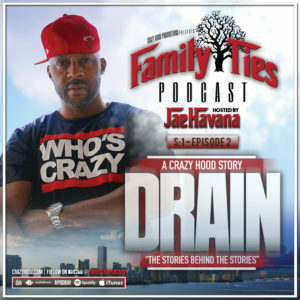 In today’s episode you’ll hear from more members from our extended Crazy Hood family and friends. 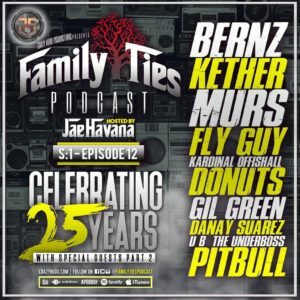 You'll hear from Pitbull and stories from MURS, UB The Underboss , Gil Green and an original Crazy Hood member, Donuts. We’ll also hear stories from Kether, Bernz from MAYDAY, Fly Guy, Danay Suarez and Kardinal Offishall. 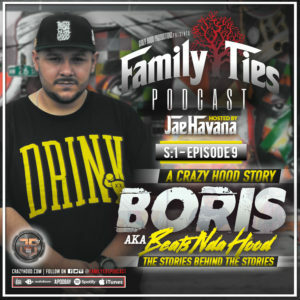 In today’s episode we talk to our extended Crazy Hood family. You’ll hear stories from Ras Kass, Big Teach & Wrekonize. 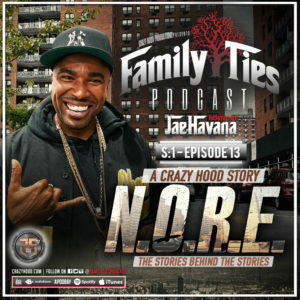 You’ll hear Monie Love speak about her first recording session with DJ EFN and stories from Capone when he came home and Crazy Hood accepted him with open arms. We’ll spend some time reflecting on the past but showing love and admiration to the Hoods with stories from Phil The Mayor & Skam2?. 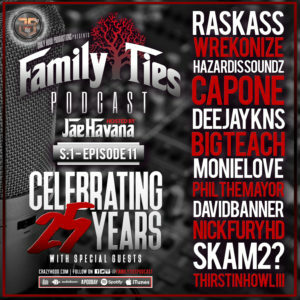 We’ll also share moments with Hazardis Soundz & Deejay KNS and stories from David Banner and a familiar name you’ve heard quite often on Family Ties… Nick Fury. 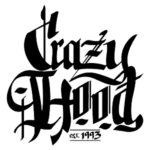 All of these stories were shared from a place of love & support of Crazy Hood Productions. Over the past 25 years our goal was to represent hip hop in it’s truest form and while doing so we’ve built friendships that will last a life time. Our first conversation starts with an artist you might know from the group ¡MAYDAY!, he’s a close friend of ours, here’s my conversation with Wrekonize. 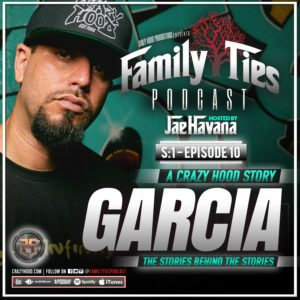 GARCIA'S Story: His work ethic and passion for hip hop earned him a spot on the crew as an MC. After developing his craft he eventually released 5 solo albums gaining international success. Years later he is now one of the most sought out Directors in the entertainment business. The Story of BeatsNdaHood: Originally from Peru, Boris moved to Kendall @ a very young age. The youngest member of the CHP. The 2 Gats Story: Originally from Miami, he grew up soaking in a variety of music from all genres including the Miami Music Scene. Dro's Story: From Boston he grew up admiring his Uncle Pete, who he looked as more of a father figure. His uncle taught him everything but when he moved to Miami Dro felt out of place. 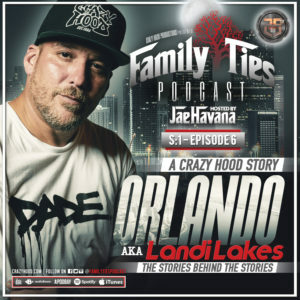 The Landi Lakes Story: With his gift of gab, he could sell ice to an Eskimo, supporting his brother Heckler and the rest of Crazy Hood was instrumental in the success of the crew. 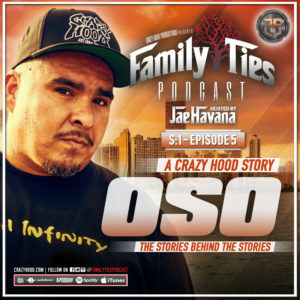 OSO's Story: A Crazy Hood member who’s all about music. Growing up, OSO’s family listened to a wide-range of classics, this allowed him to develop a broad taste of music. But it was Hip-Hop that related to him the most. 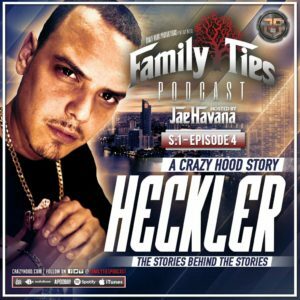 The Heckler Story: An ill emcee, who's passionate about hip hop, lyricism and hustle. Given the name “The Heckler” he developed his love for rhyming and helped form Da All (aka Da Alliance). 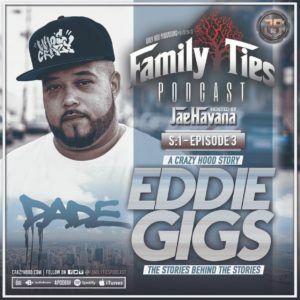 The Eddie Gigs Story: Eddie’s been rocking with hip-hop since he could remember. He implemented his love for the culture into Guerrilla marketing and helped spread the Crazy Hood Brand throughout the industry. Drain's Story: A multi talented artist, producer and photographer. He’s one of the founding members of Da All, OG Crazy Hood Member and Photographer on the Drink Champs show. 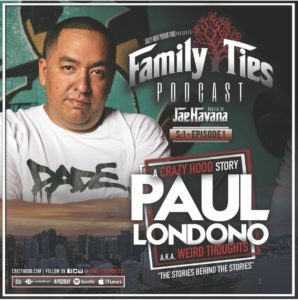 The Story of Weird Thoughts: One of the founding members of Da All, OG Crazy Hood Member and host of Drink Champs Sports. 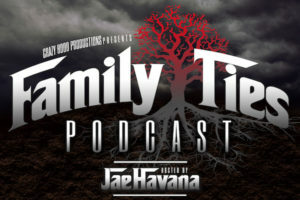 Welcome to Family Ties, this is a podcast hosted by Jae Havana. 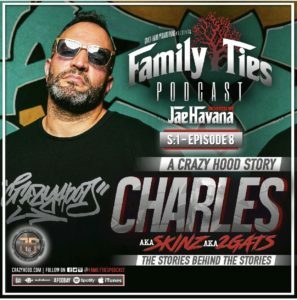 For the past few months I’ve had the opportunity to talk to the entire Crazy Hood Productionsfamily. This is a story of a brotherhood that was birthed in Miami, 25 years ago. And through our love of Hip Hop we’ve built a legacy that goes beyond DADE County. As a collective of talented individuals with a passion for hip hop, we’ve creatively maneuvered our love of the culture into a brand that’s been a staple in Hip Hop History. We’ve been able to reinvent ourselves successfully and genuinely throughout the years. As Hip-Hop has changed since its origin, we continued to push originality. As the days of the BOOM BAP turned into TRAP, we creatively developed a platform to tell the stories of CHAMPS. Love hearing the behind the scenes, from the people behind the scenes. Learning about everyone that contributes to the scene brings a different perspective since typically interviews are with the main source. Dope concept. The amazing friendships and how those evolve into loyal and eternal bond amongst brothers gives hope to us all in this out of wack culture and society we are experiencing. In an era where content is largely templated and recycled its refreshing to come across the "super hero origin story" of these great people. The CHP story runs parallel with the emergence of hip hop in the south.